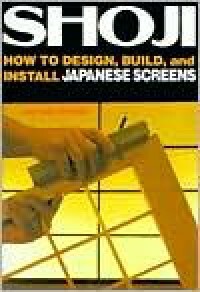 The best book on Japanese construction methods. This is a book that is great despite its shortcomings. I'll start with the positive, since they outweigh any negatives and make this book a must buy for anyone interested in Japanese house construction. The best part of this book for me was the amazing diagrams. There are numerous illustrations on joints, which other books accomplish as well, but his book shows elevation and plan views of house designs as well as specific joints used at various intersections (i.e., corners, mid-brace joints, etc.). I found this aspect of the book invaluable. The illustrations of foundations, floor construction, ciellings, fusuma and shoji, and sacred spaces is simply unparallel by any other book. The details are amazing and I felt as though I was seeing inside the mysterious box that is traditional Japanese construction methods. The second great aspect of the book is its comprehensive nature. The author really does give an in-depth discussion of the what, why's and how's of the construction methods. This is not a book to gloss over an aspect in its rather conscise review. 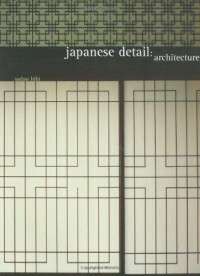 This is a book that deserves a spot on your shelf if you're at all interested in joinery, architecture, building construction, or Japanese design elements. It covers an incredible range in the 149 pages. As far as shortcomings, or maybe I should say peculiarities, since they don't really pull down the review for the book. The wording is overwrought and clunky at times and really does a poor job sometimes of cutting through the difficulty for someone learning about Japanese concepts for the first time. I would have liked to have seen a much more approachable style, more akin to the wonderful "A Japanese Touch for your Home" that I found much more enjoyable to read. The next thing that seems a bit odd is that the text is written in a way that never relates directly to the diagrams and illustrations in the book, which are arguable the best aspect of the book anyway. You can read the text independently of the diagrams and vice versa. Combined together, it is not unlike using two separate references to learn about the various subjects. Once you adjust to this peculiarity, it works fine. But don't expect to scan the text to find a reference to Figure 7 for further explanation of a diagram, which I do in other books. The text is well-organized and sub-headings really make it easy to find information without the figures and the figures are labeled well enough, although not having a direct link seems like a miss. Overall, this is a cherished book for me and one that I reference any time I need to refresh my understanding of Japanese contruction. It has it all, foundations, architectural joinery, ceilings and floors, screens and doors... I definite must buy for anyone with an interest in this type of construction. 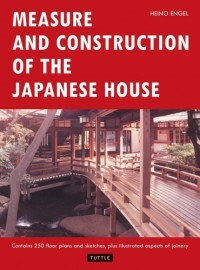 The best book on Japanese house contruction I've read. Really outdated style book with little to recommend it. 1987. Not a date that inspires a huge amount of style for any decór, much less integrating Japanese sensibilities into a house design. What results in this book is a really terrible combination of ostentatious furniture with subtle (overwhelmed) Japanese elements. I found myself wishing the western elements in the photos were removed so I could actually focus on the elements like the tansu, shoji, and tatami mats. This book left me wishing I had saved my money and I literally spent $0.32 plus shipping for it! 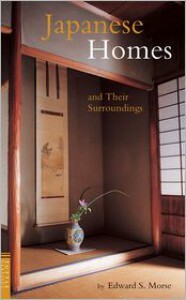 An exhaustive review of Japanese homes including most of the significant features, I.e., design, roofs, flooring, walls, verandas, gardens, etc. Other books might go into more detail on specific aspects, but this book covers more ground than any other book I've read. His critique of the shortcomings of Western houses and lifestyle is at times pointed as well as surgical in its aim. I can imagine reading this book more than once depending on what I a currently interested in. 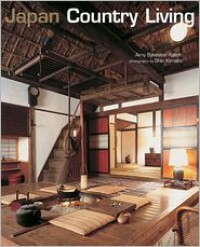 I would highly recommend this book to any westerner wanting greater insight into the design and layout of Japanese homes. 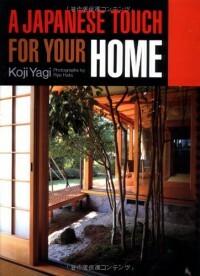 I would recommend A Japanese Touch for Your Home for more insights into the why's of design, but this book is a great introduction to various styles. Overall, a beautiful collection of photos and the narrative is good, if a bit romanticized. There simply wasn't enough detail in any one section to warrant description as an in-depth text. If you are looking for a sampling of the Japanese rural life, this would be a good place to start but I found myself looking for more detail and explanation. I wanted to like this book more. There are a ton of nice photos: well composed, well lighted, good detail. I was left with a feeling of disappointment, however, as the text accompanying these photos is superficial and lacking in a progression of ideas. This book feels like a sampling of foods from a foreign cuisine where there is no explanation of what you are eating, what's in it, or a progression of dishes through the meal, it's just a collection of random dishes. Filling, but not satisfying, if that makes sense. 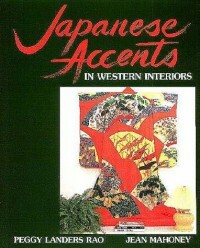 I much preferred A Japanese Touch for your Home as an introduction to Japanese dècor. 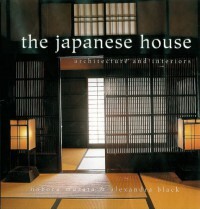 A decent enough book, there are simply much better choices out there such as A Japanese Touch for Your Home by Koji Hata, which is a great introduction to the subject or The Japanese House: Architecture and Interiors by Noboru Murata and Alexandra Black. Both of which provide better photos and much better descriptions of the Japanese design aesthetic. This book is an average option if you can't find copies of the others out there. One of the best introductions to designing a Japanese-themed décor. Explanations along with examples are numerous in this relatively short book. I would definitely recommend it to anyone looking for an introduction to the subject. There are certainly more complete books out there and one with more examples, bu this book does an excellent job of covering the basics. 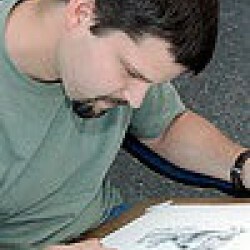 An excellent resource for the first time shoji builder. Toshio Odate's book is a bit more comprehensive and more detailed but also covers the craft in a bit more detail. Arsdale does an excellent job or covering installations and variations on the shoji designs and is a worthy addition to your bookshelf. 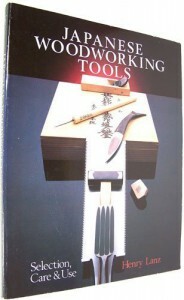 A very nice overview of Japanese woodworking tools. I would definitely recommend Toshio Odate's masterpiece as a first purchase for the enthusiast, but this book is a worthy read and covers a little less information but in certain cases a slight bit more detail (mostly in the form of photos). Recommended but not essential. 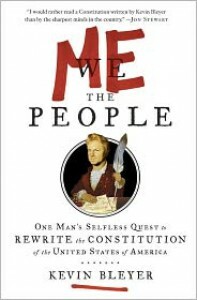 Basically, this book should be required reading for every citizen of the United States before being allowed to vote. Okay, that might be a bit extreme, but this book is simply a brilliantly written account of an extraordinary American who helped shape the modern United States. Working with a cabinet composed of disparate personalities and harnessing their respective skills to accomplish far more than could have been achieved had no attempt been made to pick the best person for each position in the cabinet. 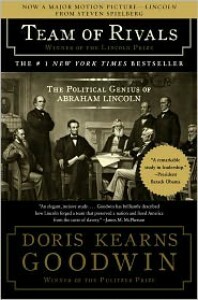 Balancing generous good will with steely resolve in accomplishing the components of a much bigger picture, Lincoln is revealed in Team of Rivals to be arguably the greatest leader the U.S. has seen. This book is a bit of a mess. 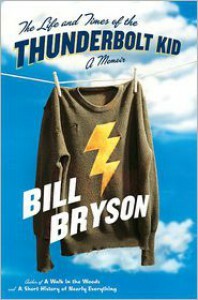 There are several parts that are insightful, entertaining, and sometimes brilliantly written. These are unfortunately, overwhelmed by numerous passages that ooze a bit too much snark, juvenile humor, or sometimes pointless additions. It's okay for the first hundred pages or so, but it gets monotonous after a while. I would have liked to have seen the author focus more on the history of the Constitution and the various debates that have arisen about it and the various amendments instead of droning on about pointless attempts at humor when they weren't really necessary. There's enough humor in the debates to simply point it out, we don't need facile commentary that doesn't really contribute to the book's (admittedly veiled) focus.Recommended with reservations. 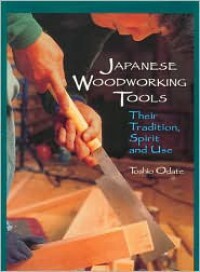 Brilliant book on the incredible world of Japanese woodworking tools. Odate covers not only the basics of the tools and their use, but delves into the spiritual foundation of traditional Japanese woodworking. This book left me with a deeply felt respect for Odate's mastery as well as his mindset. Highly recommended. 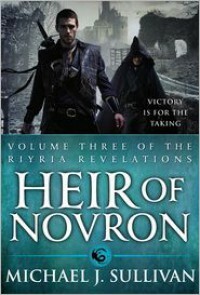 A brilliant conclusion to one of the best fantasy series I've read. Absolutely recommended for anyone looking for a moving, entertaining, and all around great story. One of the best new fantasy stories out there. 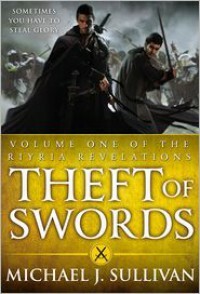 Theft of Swords is a combination epic fantasy and a story of two friends finding their path while relying on each other a bit more each step along the way. The writing it well-structured and stays out of the way of the story and really helps keep you drawn in to the engaging story. There are numerous plot lines but only a couple are left unresolved at the end of the volume leaving you wanting more from the second volume in the series (which I started immediately upon completing this one).Highly recommended for fantasy and general fiction readers as well. Definitely not one to pass up if you're looking for a nice escape during the dreary winter months.